Creative Leisure For Children: Funny Little Boy Of Four Years Having Fun With Ship Or Boat Picture Drawing With Chalk. Royalty Free Fotografie A Reklamní Fotografie. Image 43057780. Reklamní fotografie - Creative leisure for children: Funny little boy of four years having fun with ship or boat picture drawing with chalk. 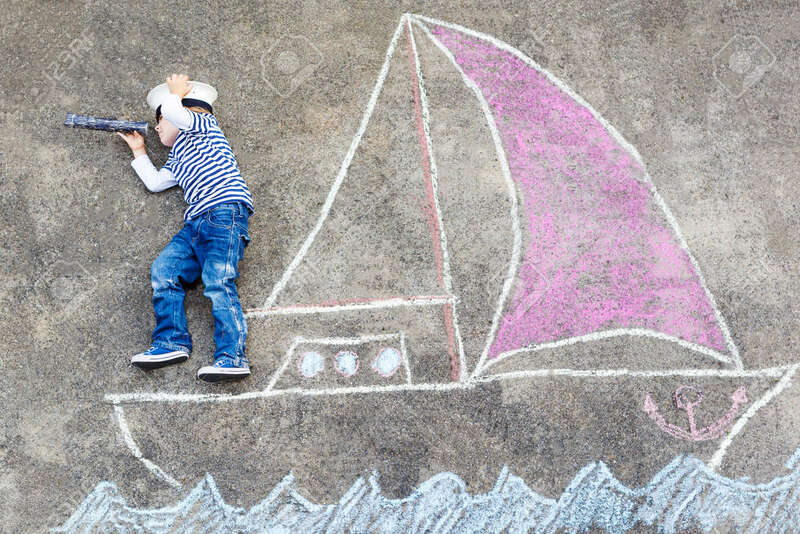 Creative leisure for children: Funny little boy of four years having fun with ship or boat picture drawing with chalk.